Have you ever wondered what would happen if you called 911 in the worst moment of your life and no one answered? The 911 Public Safety Telecommunicators (PST) who answer our calls are people too. They are incredible people who face tremendous stress risks doing a job for us that most of us could not do, or would not want to do. In fact they typically do their jobs so well that we often take them for granted and never give them a second thought. These 911 professionals are the Very First Responders in our most critical moments of life: when a mother calls panicking because her baby is not breathing; when your father or mine has just had a heart attack; or when the suicidal veteran calls with one last hope. Yet, intervening in these crises can take a huge toll on PSTs. A recent study found that between 17-24% of 808 telecommunicators acknowledge symptoms consistent with the diagnosis of Post Traumatic Stress Disorder (PTSD, Lilly, 2014). To put this in perspective, studies indicate that about 6% of our nation's firefighters may have PTSD. So 911 telecommunicators appear to be at more than three times the risk of of these field responders. We all depend on 911. Will we help assure the well-being and peak performance of these telecommunicators? This is the question that inspired the creation of the non-profit 911 Wellness Foundation (911WF). It is the only organization in North America devoted exclusively to protecting the well-being of our PSTs. 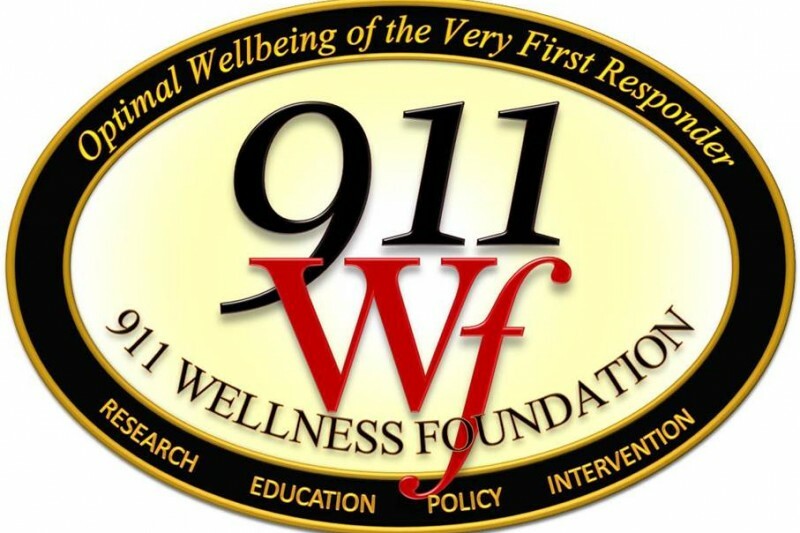 911WF is led by experts in mental health, the health sciences and emergency services. 911WF is grateful to have gained the formal partnership of leading 911 organizations and pioneering health scientists including the National Emergency Number Association, the International Academies of Emergency Dispatch, and the Institute of HeartMath. The Foundation's CEO and Board Chair, Jim Marshall, is a licensed mental health professional who has specialized in the assessment and treatment of traumatic stress and relationships for over 25 years. He became a 911 educator and advocate by the urging of his sister Deborah Achtenberg, ENP--a 911 telecommunicator (now retired). Debbie believed passionately that 911 professionals needed stress training driven by mental health expertise. We hope you'll help Jim and the Foundation achieve our mission and assure the future well-being of our Very First Responders as they serve all of us! Your donation will go directly toward achieving this mission through our Four Streams of Activity. If you are ready to contribute now, please donate whatever you can afford, or if you would like to read more before deciding, then read on for more helpful information. POLICY: in 2013, with help from the Foundation's leaders, the 911 industry established a new Standard on Acute/Traumatic and Chronic Stress. Since then, through national and state presentations and publication of articles in 911 journals, the Foundation has worked to advance this Standard. And 911WF wants to provide resources and assistance assuring all North American 911 centers implement local Comprehensive Stress Management Programs mandated in the Standard. Other local, state, and federal policies must also be advanced to foster telecommunicator's health and peak performance. Your donations will help make these programs a reality! TREATMENT: The Foundation is devoted to assuring that all PSTs have access to Evidence-Based Treatment to heal stress-related conditions. 911WF created a Registry to connect PSTs throughout North America with therapists qualified to treat and help resolve their unique traumatic stress. You can help us build and manage this network of therapists who will serve the Registry. Your donation, however small, will help us achieve this mission. So, thank you for taking time to listen to our story and for investing in the future of 911-- for all our sakes! While I am the leader of the 911 Wellness Foundation, I am also a member of my community, a church, and like all of you, I read about all sorts of human crises in the news and in Facebook where people need our help. Frankly the presence of so much legitimate need out there requiring financial assistance makes it really difficult for us at 911WF to even think of asking for funding. So we are especially grateful to those of you who have chosen to give despite giving generously elsewhere. We are inspired by your help and continue to ask for more because we believe one very important thing: that those who serve as the Very First Responders in our worst moments of life often pay a heavy personal toll from the psychological impact. They are at risk for stress related problems yet are typically forgotten--especially when they do their jobs well and are not on scene physically! Of course I am referring to our 911 telecommunicators. The Foundation simply needs funding to succeed in advocating for these First Responders. Be assured that our team already donates all the personal time and funds they can to make 911WF fly, but educational materials, website development, and travel to present our cause are all essential and expensive. Your giving makes it possible for us to defray some of the expense of traveling to annual conferences in the 911 industry where we can teach 911 leaders and listen to stories of our telecommunicators' struggles, and so that we can provide them with resources and help them plan to implement Comprehensive Stress Management Programs in their PSAPs to support the well-being of the telecommunicator. Somebody has to do this work, and the Foundation is the only organization in the country exclusively devoted to it. So please know that your giving is making a big difference! Thank you, and Peace to you and those you love, today and each day. 2016 promises to be a great year for 911WF as we continue growing and advancing our mission to foster optimal health, fueling resilience, peak performance, and a high quality of life for 911 professionals through four Streams of Activity: research, education, policy, and intervention. Your contributions help create resources to educate hundreds of North America's 911 leaders about help available to prevent and heal PTSD and other stress-related issues experienced by 911 professionals. 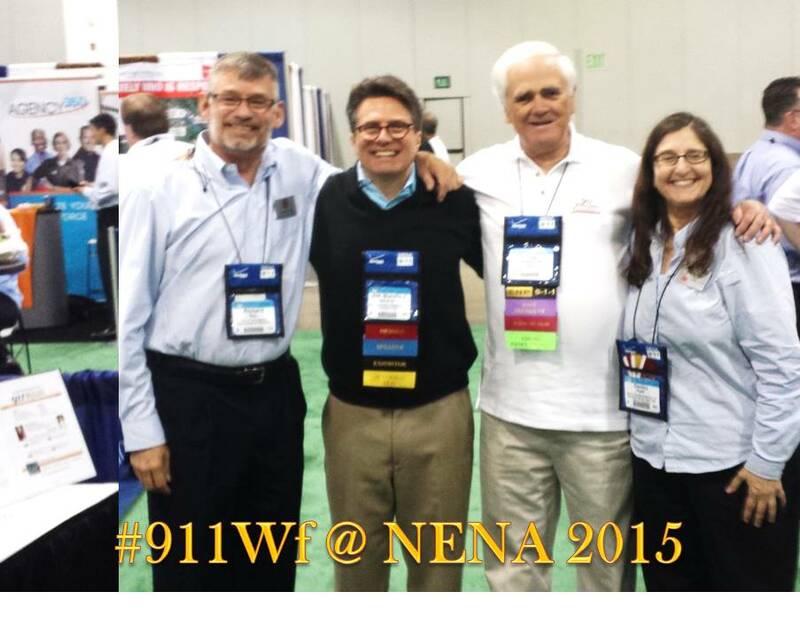 We are here at the 2015 Conference of the National Emergency Number Association in Denver, and I want to thank you all: your contributions have helped create resources to educate hundreds of North America's 911 leaders about help available to prevent and heal PTSD and other stress-related issues in our 911Pros. Several 911WF board members also contributed their time volunteering to help tell this story at conference exhibit hall. Note: the 911 Strategic Playing Cards will finally ship next week to those of you who qualify with a 20.00 or greater donation. This pic includes Past NENA President and 911WF Board Member Rick Galway, with Richard Ray and Donna Platt, both leaders in service to the Deaf and Hard of Hearing community. Slow but sure wins the race! Thanks so much again. Coming together for a great cause! Greetings Folks: to any of you who have donated 20.00 or more and provided address to receive the 911WF Strategic Playing Cards but are still waiting, please forgive the delay. I am working on it and you will receive them for sure! Thanks again:) Peace to you. This gift is in honor of Gary Bell. Please contact me to get his email address to email an acknowledgment to. Thank you very much for all you are doing for 911 pro's. In memory of Lloyd Faying, he will be missed.